From left: USFSP Drs. John Arthur, Kathryn Arthur and Dr. Matthew Curtis, Ventura College. Photo courtesy of USFSP. 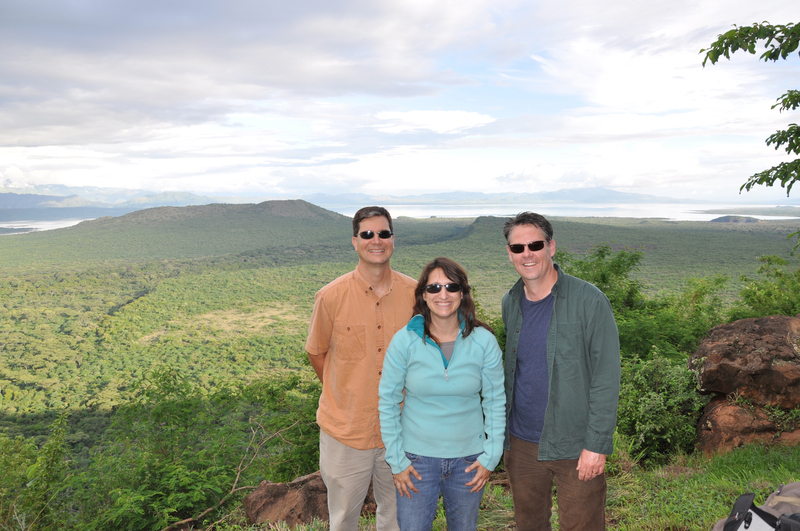 An anthropology team from the University of South Florida St. Petersburg (USFSP), Drs. John and Kathryn Arthur, have announced that after several years of excavation and research in southwestern Ethiopia, their work has resulted in an enduring discovery: the first complete ancient African genome. 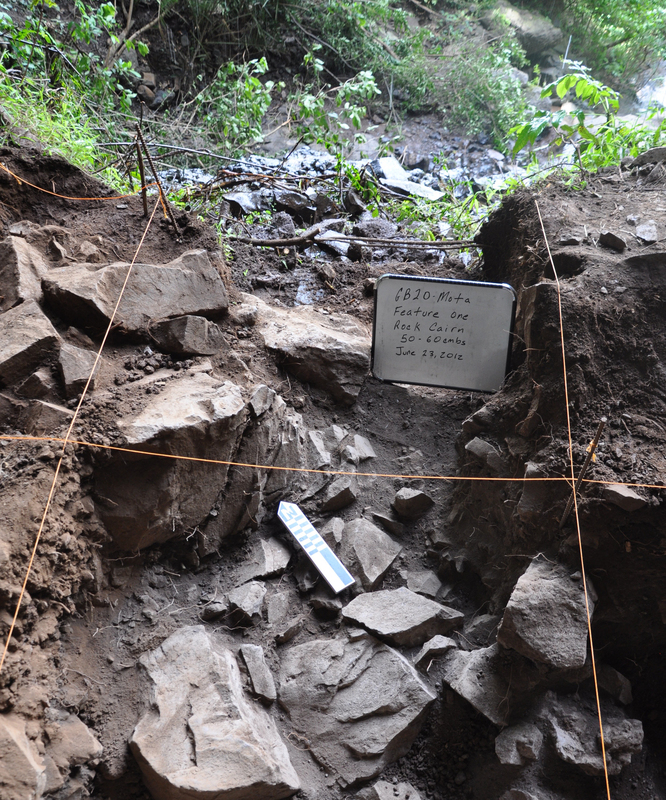 In 2012, an ancient male human skeleton, dating back 4,500 years, was recovered from Mota Cave in the Ethiopian Gamo highlands. Ancient DNA extracted from the skeleton provides the first ancient human genome sequenced from the African continent. The prestigious journal Science published the findings online today and will publish in print tomorrow, Friday, October 9. Cairn Feature in Mota Rock Cave in Ethiopia. Photo by John W Arthur. Gamo elders led Kathryn Arthur to Mota Cave in 2011. In 2012, John Arthur – along with Drs. Matthew Curtis of Ventura College, and Mauro Coltorti and Pierluigi Pieruccini of the University of Siena – partially excavated Mota cave and discovered the skeleton. The following period of research on the remains involved the collaboration of an international team of scientists, including Jay Stock, Ph.D. of the University of Cambridge, who conducted the skeletal morphological analysis of Bayira, and Andrea Manica, Ph.D. of the University of Cambridge and Ron Pinhasi, Ph.D. of Trinity College in Dublin, who led a team responsible for his DNA sequencing and analysis. 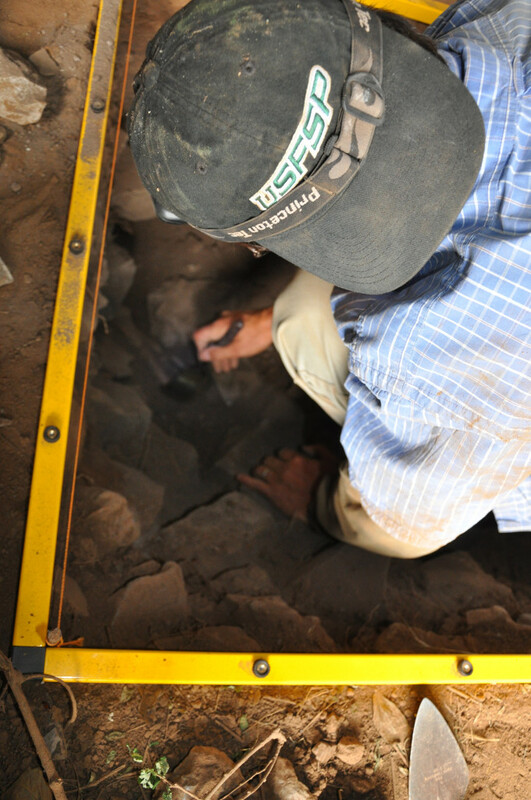 Dr. John Arthur excavates in Mota Cave. Photo courtesy of USFSP. The Omotic languages are linguistically the most divergent of the Afroasiatic language phylum, suggesting that Omotic speakers may have lived in southwestern Ethiopia for a long and sustained period of time. The ancient genome of Bayira supports this view, indicating that it is likely that Omotic speakers have lived in southwestern Ethiopia over the last 4,500 years. The University of South Florida St. Petersburg (USFSP) is a separately accredited, research-active institution within the USF System. USFSP offers 24 undergraduate and 13 graduate programs in three colleges: Arts and Sciences, Business, and Education. USFSP is recognized for its significant commitment to community involvement and civic engagement by the Carnegie Foundation for the Advancement of Teaching. The 2015-2016 academic year marks the 50th Anniversary for the university, which will host commemorative events throughout the year. For more information, please visit www.usfsp.edu/50years. For more on the story and high-resolution photos, please visit www.usfsp.edu. This entry was posted in Press Watch and tagged Africa, Archaeology, human genome.